What's with the Cattitude? 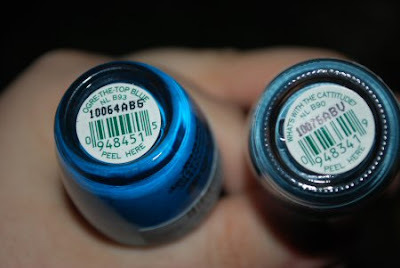 and Ogre-the-Top Blue from the OPI Shrek Forever After Collection. I guess I have a thing with blue polishes lately. These were too pretty to pass up! The other colors from the collection are okay, but these really stood out for me. I picked them up at my local Trade Secret. 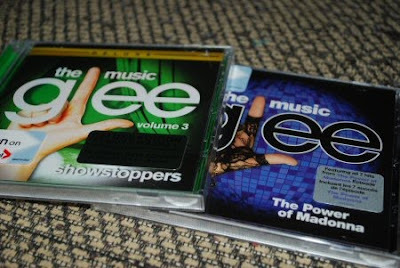 Had to catch up on my Glee CDs! I'm not ready for the first season to be ending! 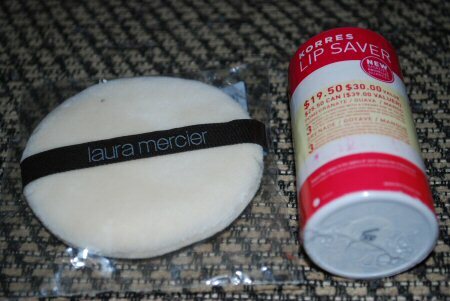 Laura Mercier velour puff and the Korres Lip Saver Roll from Sephora. I really recommend picking up the lip roll, because it really is a great deal. Really excited to try it! 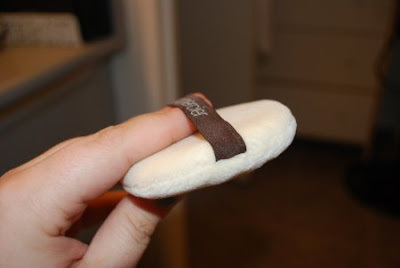 The puff is extremely soft and thick. 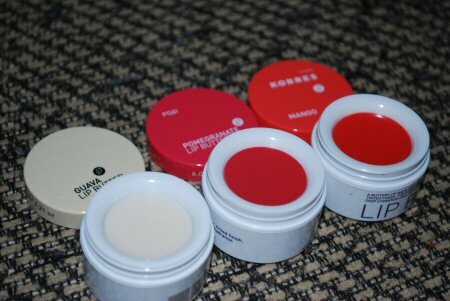 Korres lip butters! These are becoming my newest addiction. I honestly cannot put them down. I carry one in my purse. I have one beside me at the laptop. And I keep one in my bathroom. I will be doing a review on these with swatches. I have Ogre-the-Top Blue on my fingers now and I really like it!! It's such a vibrant blue. I have worn it all week! I find that it definitely needs a top coat, though. I feel like it chips a lot more easily than other OPI colors. Maybe it's just me? !